Be careful no to poke holes. Best bang for your buck with the most comfort available. It is light and packs well. I got the shorty because I was cutting weight. For the feet I used the REI trail chair. Great design that saves weight, but the faulty valve makes it unusable. Bought in Boston as a replacement for a heavier bag, but found it deflated after a few hours. What is required is a valve that after it is pressed down takes a few turns to tighten, not just one. Wrote to REI and have never received reply. I have immersed the bag in water, but due to the low pressure and slow leakage it's not obvious where the leak/s are coming from, but like all one-press-down valves you only have to knock them and they let out the air. The self inflating feature works to some extent, but heavy people need a firmer bag. 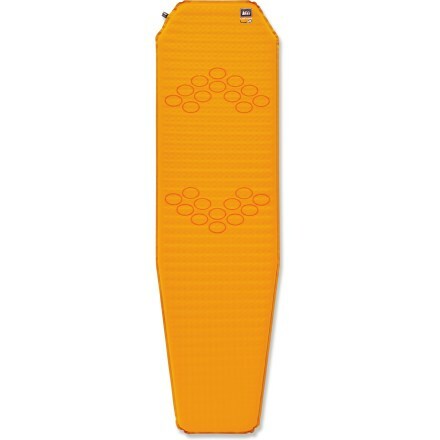 I purchased this pad to replace a Big Agnes pad that I thought was going to be comfy. At over 2.5 inches thick, it seemed promising, but fell short. Anyway, as I’ve gotten older, I’ve been trying to lighten my loads, and while this isn’t the lightest pad out there, at 27 ounces, it’s far from heavy. I recently used this pad on a Zion National Park Narrows Top Down hike. I found it easy to unroll and to inflate. Just unfold, open the valve, and throw it in the tent for a while. Come back later, add a few puffs of air and you are ready to go. I was concerned, that with the pad being only 1.5 inches thick, I was going to bottom out and feel the ground. Didn’t happen. I sleep both on my side and back, and was comfortable in both positions. The grippy silicon on the pad kept me in place all night, too. The following morning I opened the valve before getting up, letting my body weight force most of the air out of the pad. Getting all the air out of the pad wasn’t too difficult, something I found impossible with the BA pad. Still, it took two tries before getting it flat enough to go back into its stuff sack. 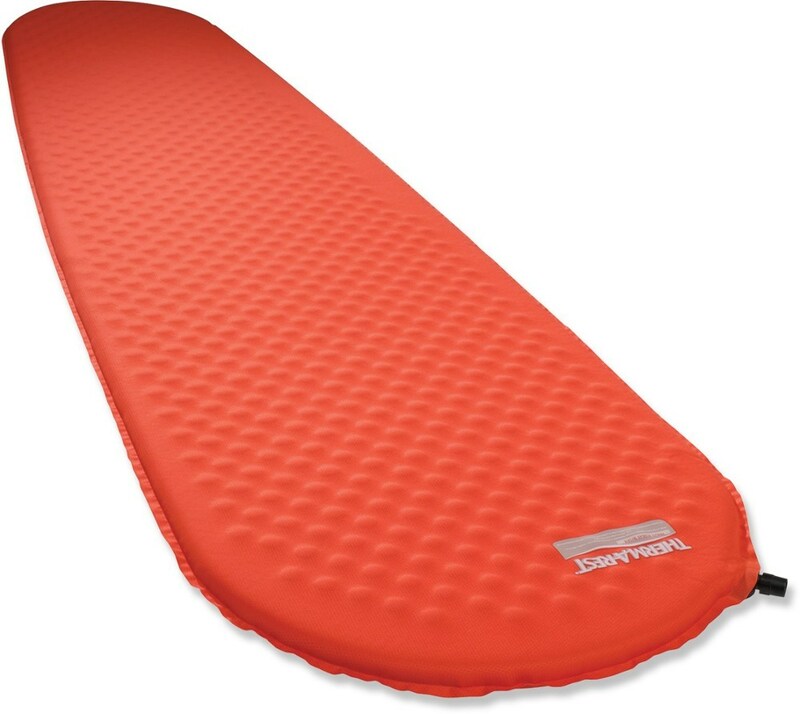 But to be fair, the ThermaRest pad I use for car camping takes the same. I’m not sure how this pad will hold up, especially considering the centerline fold. I’m considering purchasing a long stuff sack so I can roll it up without folding it. It will no longer fit inside my 65 liter backpack, but I think it’ll add life to the pad. I love this pad. I've taken it on several trips throughout the Pacific Northwest, and have slept like a rock every night out. I tend to sleep on my side and I have yet to notice any rocks or pokey places bothering me while I sleep. This pad only weighs 1 lb. 11oz. Comes with a stuff sack and a repair kit, which the Therm-a-Rests don’t. I’ve used it a few times now and I sleep so good on it, completely love it. Even when sleeping on my side my hip bone never pushes through it and touches the ground. Super easy to inflate, and deflate / roll-up. Recommend this pad to everyone! 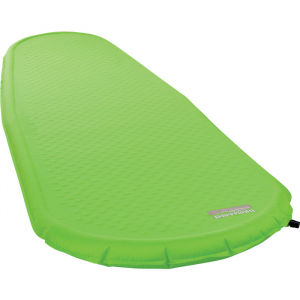 This was a great bargain when compared to other self-inflating sleeping pads. It weighs little, is thicker than the thinnest Therm-A-Rest and I sleep like a baby when I'm on it. Great buy for a great pad. The REI Men's Lite-Core 1.5 is not available from the stores we monitor. It was last seen September 28, 2016	at REI.